(from right to left) Marion County Sheriff Billy Woods, Deputy Jimmy Long, Long's wife, and Gov. 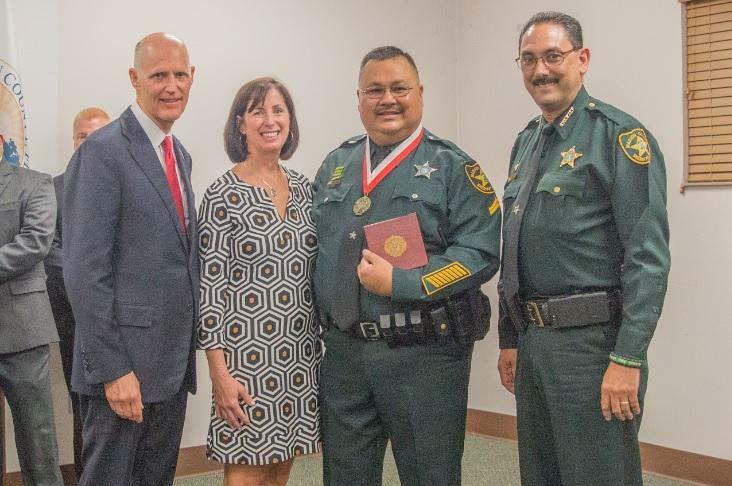 Rick Scott, following SRO Long's Medal Of Heroism presentation. Scott says he applauds the actions Marion County Sheriff’s Deputy Jimmy Long took Friday at Forest High School in Ocala that led to the arrest of a 19-year-old gunman. One student was shot in the ankle, but officials say it could have been much worse. Meanwhile, the Marion County school district as well as law enforcement agencies have agreed to put more than 30 resource officers in all schools for the remainder of the school year. 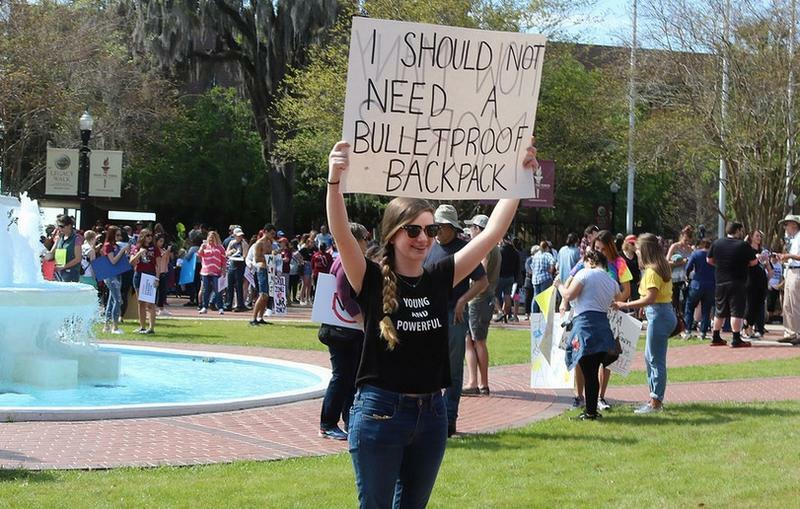 On the nineteenth anniversary of the Columbine High School shooting, students in Florida’s capital joined their counterparts across the nation in a school walkout calling for gun reform. Students also congregated in the Capitol courtyard after the school day.